A Business Teachers Association of New York State grant is funding a community service project for Wantagh Middle School students. 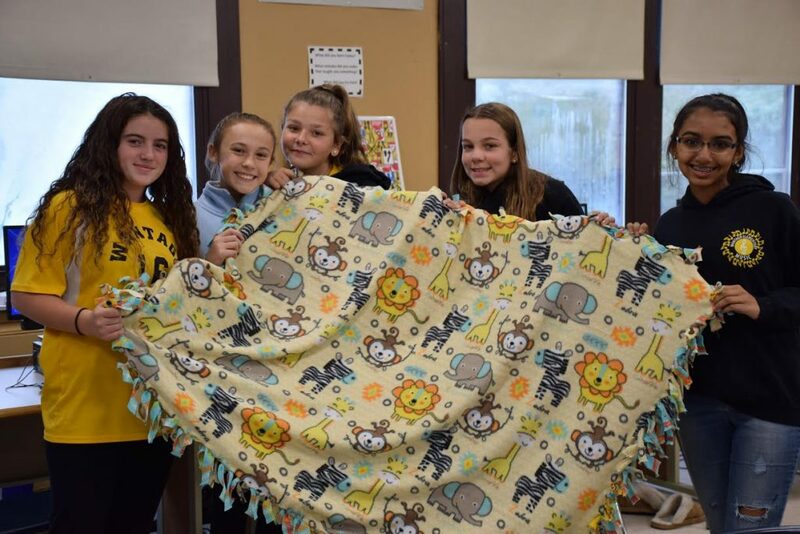 Business teacher Nancy O’Connor recently received a $500 grant from BTANYS, which is being used to purchase fleece, no-sew blanket kits. 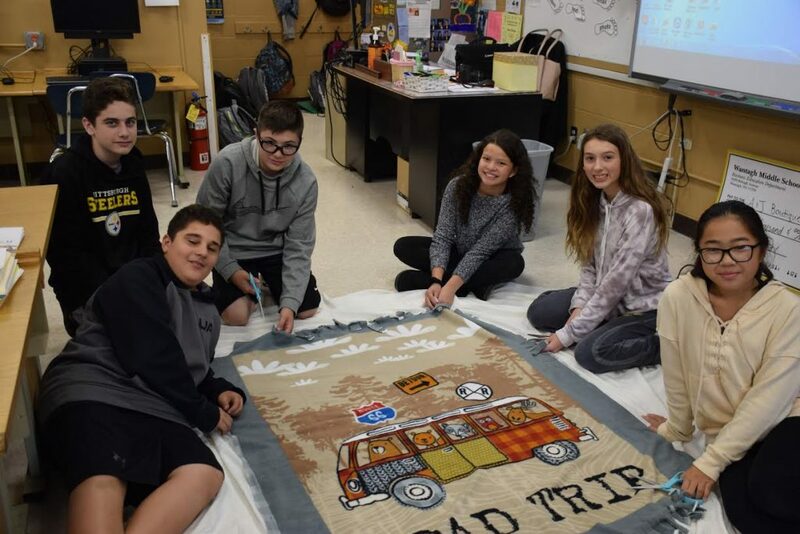 The 75 students enrolled in the eighth-grade business management class are putting together 20 homemade blankets to be used by patients at the Ronald McDonald House of Long Island. Ms. O’Connor said the students will soon visit the Ronald McDonald House to learn about nonprofit organizations and helping those in need within the community. “Students will learn about the importance of giving to those in need, as well as a corporation’s corporate social responsibility,” Ms. O’Connor said.